← blog 33: In which I give the INSIDE STORY on my trip to ABU DHABI – with the aid of some never-seen-before photos! blog 34: In which I really have nothing to say, but I say it anyway. It’s come to my attention that I’ve been very slack with my blogging of late and it’s been ages since I posted something. This was mainly due to the fact that I couldn’t think of anything the least bit interesting, funny or important to say. However I have come up with a cunning plan. I’ve decided to write 10 little things, each of which by themselves would struggle to be vaguely interesting, funny or important, and hope that seen together, they may actually appear to be more interesting, funny and important (I wouldn’t really hold out too much hope for that last one) than the sum of their parts. Genius. 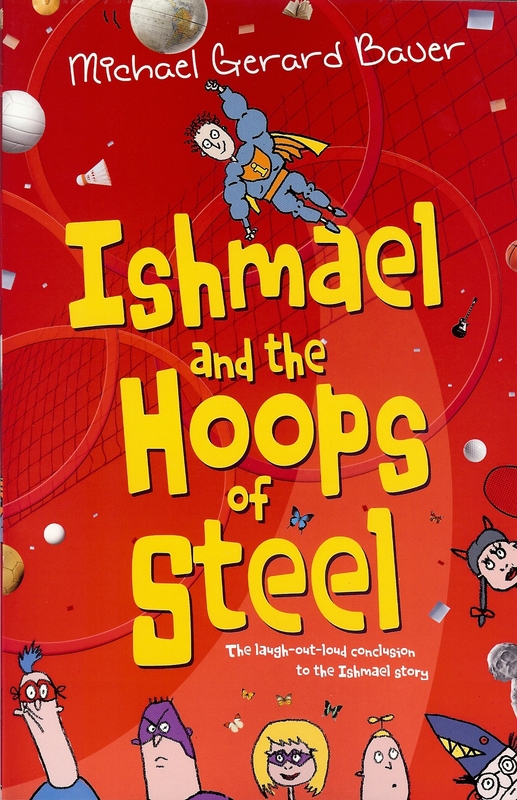 # I was giving a talk at a school recently and a boy called me a bully because I made embarrassing and awful things happen in my books to the character of Ishmael. What nonsense! After the session I took him gently aside and threatened him with legal action. Then I beat him up. # Sometimes students take it upon themselves to draw portraits of me. Here are some examples. I like to kid myself that they look NOTHING LIKE ME! # Once I was in an airport waiting for a flight on REX airlines. I sent a text to my wife saying, “Waiting at the airport for Rex”. Except that wasn’t quite the message that the predictive text decided it wanted to send. That’s a dessert spoon not a teaspoon on the plate and that muesli, though beautiful, was deep and thick and rich! I had about six scoops and was full and it didn’t look like I’d touched it. Talk about your loaves and fishes. You could have rendered a fair-sized wall with the amount of muesli that was in that bowl! In the end I ate the strawberries and the dried banana on top. Then I picked off all the dried apricots, put them in the fridge and that’s what I had for breakfast for the next three days! # I was doing a workshop on ‘Writing Funny’ and asked the group ‘What is the common ingredient in all kinds of Humour?’ I was expecting a response like ‘surprise’ or ‘the unexpected’. A boy put up his hand and said, ‘Potatoes.’ We all killed ourselves laughing. Best. Answer. Ever. # Another day I was talking to a group of Yr 5s and 6s about weird things their dogs were afraid of. One girl said her dog was afraid of spaghetti! # It’s a little known fact, but I appear in a You Tube video that’s had nearly a quarter of a million hits! But not because of me. # Sometimes I do a simple fun writing activity where kids have to make one long sentence using words beginning with the letters of my first and second name in order. Here’s an example of one’s group’s work: Mutant Insects Catch Horrific Aliens Eating Loveable Babies And Undesirable Egg Rolls. This entry was posted in Uncategorized and tagged Humour, Ishmael, Writing Workshop, You Tube. Bookmark the permalink. 8 Responses to blog 34: In which I really have nothing to say, but I say it anyway. Come on Michael, that third one looks just like you – and I should know, I’m your sister! Yes, it’s uncanny isn’t it. Oh and why I’m here, a cheecky cross comment for Christine. Are you free around Sept for a school pancake breakfast thing? Need around 500 flipped. You sound amply qualified. No references required. Spatulas provided. Here’s to mental March. You realise you share more than a passing resemblance to Rodney Rude in rhs image # 2? Just what I needed. A chuckle. Not more important stuff to choke on. Thanks Michael. Rodney Rude. You’re not cheering me up at all Dimity.